Does Passive Income Really Exist? Here’s What You Need to Know! Don’t let the name fool you; passive income isn’t entirely passive. Being able to earn money while you sleep or while you’re on the beach drinking piña coladas sounds like a dream. Passive income can help turn that dream into a reality. If you feel like you spend way too much time working and not enough time enjoying life, earning passive income can help you achieve a better balance. There are only so many hours in a day, and by exchanging your time for money at a job, you’re earning active income meaning when you don’t work, you don’t really make any money. With passive income, you do all the work up front to set up an income stream, then you can continually earn money without actively being involved. 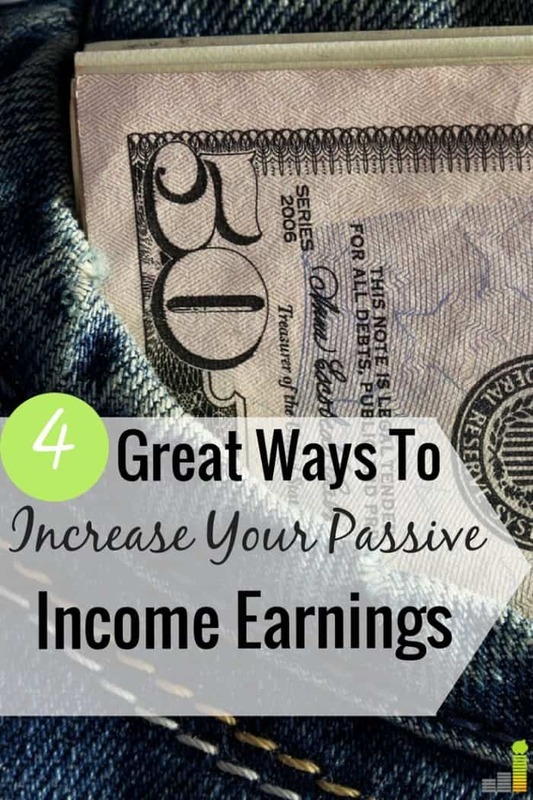 Now before you get all jazzed up about passive income, I want to highlight that while there are many benefits to earning passive income, it may not necessarily mean you will never have to work again. First, you need to make sure the income stream you develop is scalable and has the potential to become passive. While I still think saving for retirement through a robo-advisor, like Betterment or Wealthfront, is one of the best ways to establish true passive income, there are many other ways to establish passive income much sooner thanks in large part to the Internet. For starters, you can invest in real estate or peer-to-peer lending online. You can become a blogger (here’s our guide on how to start a blog) and monetize it although it may take several months or years before you start earning passive income from it. You can sell your own digital products online; sell your photos to stock photography companies; create your own app; try affiliate marketing; or write a book. If you have enough starting capital, you can even become a silent business partner. As you can see, there are quite a few ways to earn passive income but even given the examples I listed above, I’m sure some people could argue that some of those ideas are not truly passive. I’ll get into that in a bit. However, first I wanted to point out that not all side hustles are passive income streams, which should come as no shock. I was reading an article the other day that suggested driving for Uber was a passive income idea. That couldn’t be further from the truth. Uber is a great side hustle, but it’s not passive. Sure, if you own a car you might be interested in driving for Uber since you drive anyway, but it’s a very active income stream. While it’s flexible and you have the freedom to set your own hours, you still have to get up and make the effort to go out and drive people around in order to make money. If you want to earn extra money, I’d definitely recommend getting a flexible side hustle but most side hustles are not passive. Side hustles that allow you to make money quickly are often not passive because passive income takes time to build up and doesn’t happen overnight. Unfortunately, most people quit or give up before their income stream becomes semi-passive because they lose patience and want to make money now. When evaluating an opportunity to start earning passive income, you have to consider what maintenance will be required to keep the money rolling in. For example, you can’t just create an online course and let it sit dormant. You have to promote it, update it and communicate with students by offering support and being there to answer questions promptly. Multiple courses or digital products will require more time and upkeep. It’s still a great way to earn money but is only semi-passive because you still need to do some work on your end to keep it going. Likewise, if you own a few rental properties, you may have to do some work on your end to handle repairs and maintenance for the properties and make sure your tenants are happy before you can sit back and collect checks. You can definitely outsource tasks to make your income stream more passive but you really have to look at your cash flow first. It’s best not to feed into the social definition of passive income. Set realistic expectations and realize that earning passive income can require a lot of time, effort and money up front, and some routine maintenance along the way. Just because you have to put in more work than you would have thought, you should still seek out passive income opportunities over the course of your lifetime. The average millionaire has seven different streams of income and they don’t all come from an active-income job. Earning passive income will enable you to earn more money overall, live a more flexible lifestyle and perhaps even retire early. What are your thoughts on earning passive income? How have you tried earning passive income in the past? How much effort is too much for an income stream? How do you allocate extra funds from a side hustle? The post Does Passive Income Really Exist? Here’s What You Need to Know! appeared first on Frugal Rules.